The United States Food and Drug Administration (FDA) released a final rule in 2013 detailing the requirements for a unique device identification (UDI) system that will be used to track and identify medical devices during their distribution and use. FDA plays a prominent role in the regulation of medical devices for sale in the United States, through requirement documents such as the FDA QSR in 21 CFR Part 820, 21 CFR Part 11 that mandates electronic record-keeping of medical device quality systems and the medical device reporting guidelines found in 21 CFR 803. In 2013, FDA published its final guidance on unique device identifiers for medical device companies, requiring manufacturers of certain devices to establish a UDI system that would be used to identify devices and support product traceability from the manufacturer to the end user, and throughout global supply chains. The establishment and publication of UDI requirements along with the establishment of a global unique device identification database (GUDID) is expected to have several positive impacts for health care providers, medical device stakeholders, and patients within the health care system. Under FDA's UDI guidelines, medical devices will be labeled with a UDI that can be cross-referenced with information from the GUDID to ensure that the device is adequately made and can be safely used for its intended purpose. The ability to rapidly identify a device using the GUDID will remove much confusion that can result in misappropriate use of a device. The GUDID will create a single source of truth for medical device identification across the industry. Under the UDI rules, medical device manufacturers, importers and device user facilities will be required to include the medical device UDI as part of any adverse event reported to FDA. This inclusion will allow both the companies and FDA to review and analyze reports more accurately, leading to faster identification of non-conformance issues or CAPAs that most often lead to adverse events. As a result, device makers will be able to execute more targeted and efficient device recalls. Whenever FDA must alert the public about safety risks concerning a particular device, the UDI system will allow for more precise safety announcements and public health notifications. In collaboration with manufacturers, FDA may be able to identify the exact products that have been affected. Consumers will ultimately benefit from an added risk protection against any device that might cause harm. Under 21 CFR Part 820, medical device companies must maintain records of each production unit, lot or batch of product created - information that should be documented in the device history record (DHR). 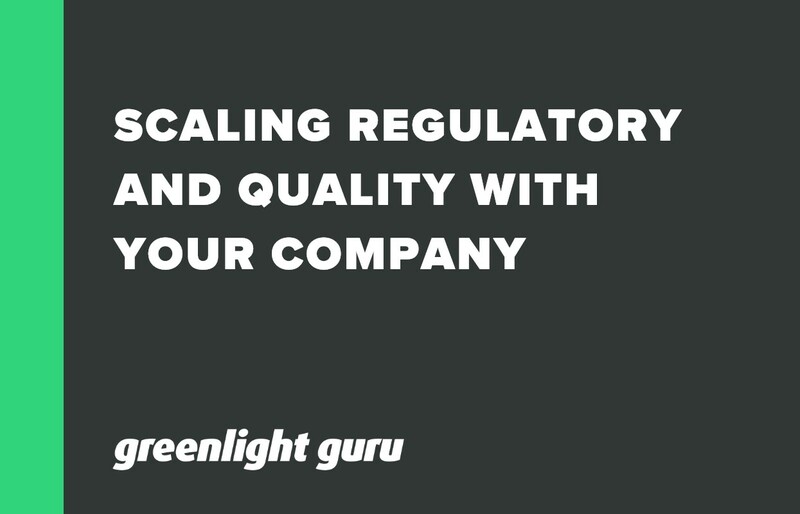 With Greenlight Guru's eQMS Software, medical device companies can enjoy and benefit from an automated system that generates all information needed for compliance with the UDI requirements. Device makers are able to securely maintain all data needed to comply with UDI requirements and ensure complete product traceability in a single source of truth within the cloud-based quality system. 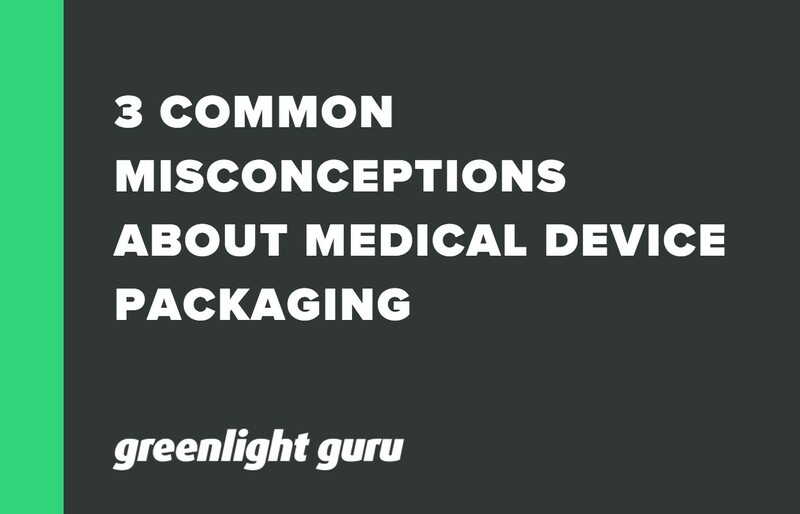 Here is what you should know about 3 of the most common misconceptions regarding medical device packaging. 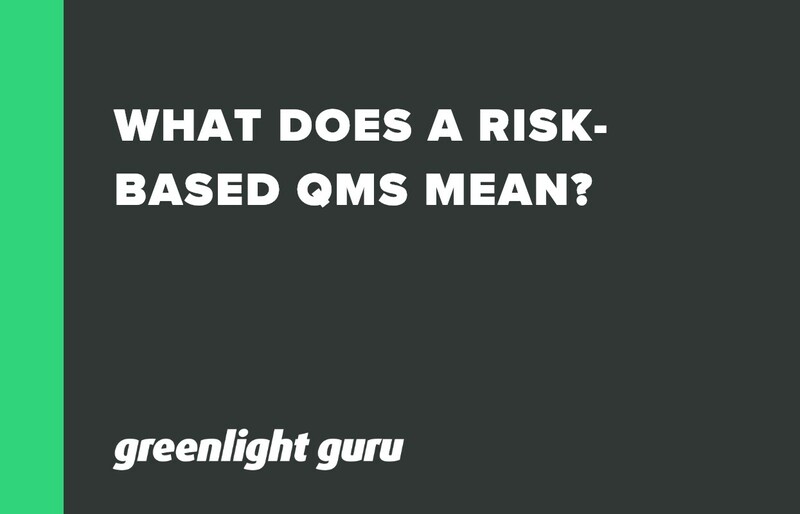 If you’ve kept up with changes in ISO 13485, you’ll notice that there’s a heavy emphasis on “risk-based QMS.” What does this actually mean?